Why is my default shell from /etc/passwd not started by terminals in a Unity session? Awesome. Then I logged out and rebooted. Login shells (e.g., virtual TTYs and SSH) now start fish. And yet, when I start a terminal with either gnome-terminal or urxvt, a bash session is started. Additionally, the SHELL variable is still set to /bin/bash. Interestingly, Terminator does use fish as the default shell. But even in that session SHELL is set to /bin/bash. If I start urxvt from Terminator, urxvt starts a Bash session. What else do I need to do to change my default shell to fish? 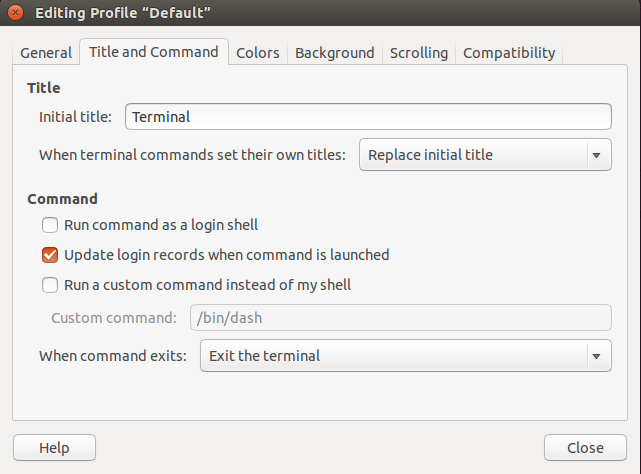 Most terminals (at least gnome-terminal, urxvt, and XTerm, for example) that are started within a desktop environment such as Unity will use the SHELL environment variable to select the shell when they are launched. Additionally if any scripts such as ~/.bashrc or ~/.bash_profile are called by those other startup files and there is an export SHELL=/bin/bash line, that will also affect the entire desktop session. I know it's acceptable/encouraged, but I still hate answering my own question. Nevertheless, this may be of some use to someone in the future. Thanks to @heemayl and @muru for helping me investigate. Now whenever you start a new instance of gnome-terminal, fish will be started instead of bash. Not the answer you're looking for? 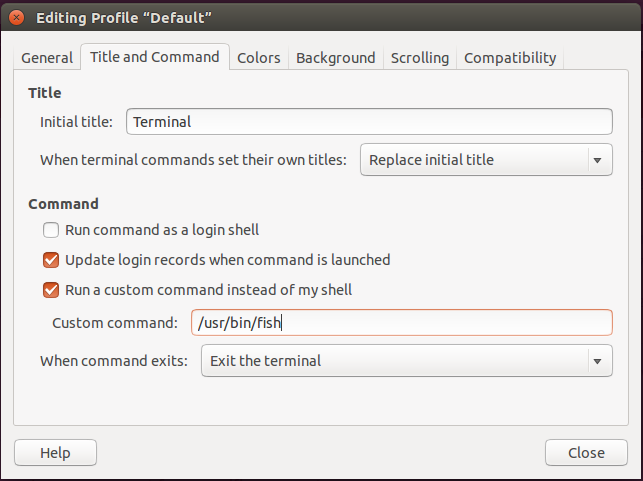 Browse other questions tagged command-line login gnome-terminal fish or ask your own question. Can I log to a non-default shell?